It's nearly mid April and most of the U.S. is enjoying the beginnings of spring, some of the country is starting to bud and green up. Sometimes I envy that, sometimes I don't. 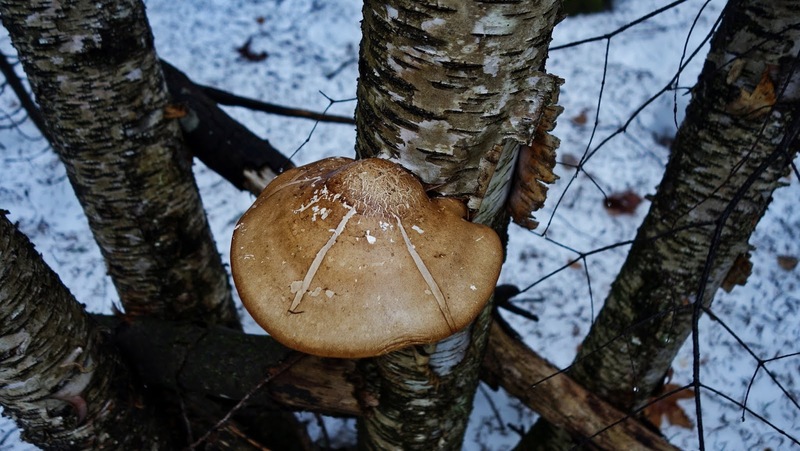 Winter's skeletal grasp upon the neck of the north wood still has strength, though waning. Spring's rebirth is yet to come. Most days our skies are still steely and grey, the wind carries flurries and ice more oft than not. The sun does break through occasionally, but not regularly, it's usually a white orb behind the clouds. The balsam's needles sprinkle across the hard crusted snow. Shallow in places and knee deep drifts in others. Here and there a bit of bare ground emerges, having been covered since late November. The mists rise in the forests as the air temperature is warming to above freezing. 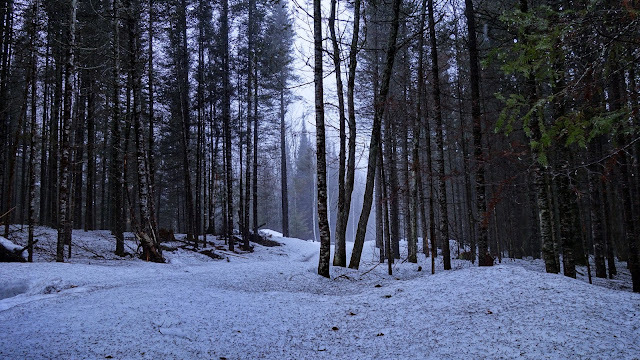 The snow begins to release its moisture and thus the mists come. 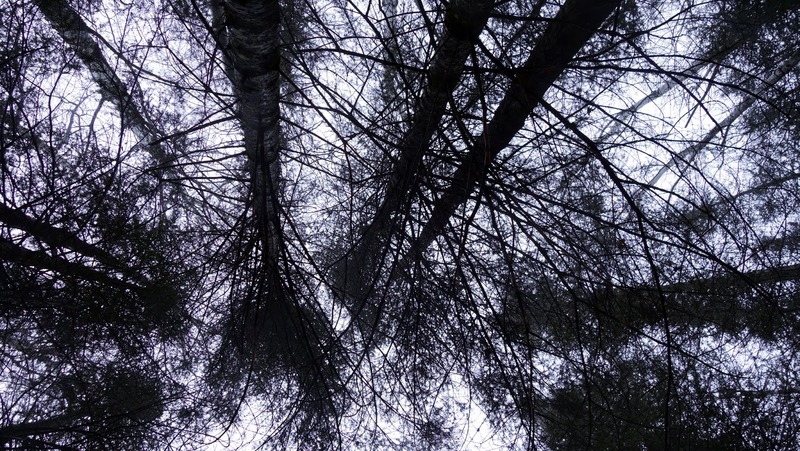 When the wind does not blow the woods are eerily silent, quiet, still. 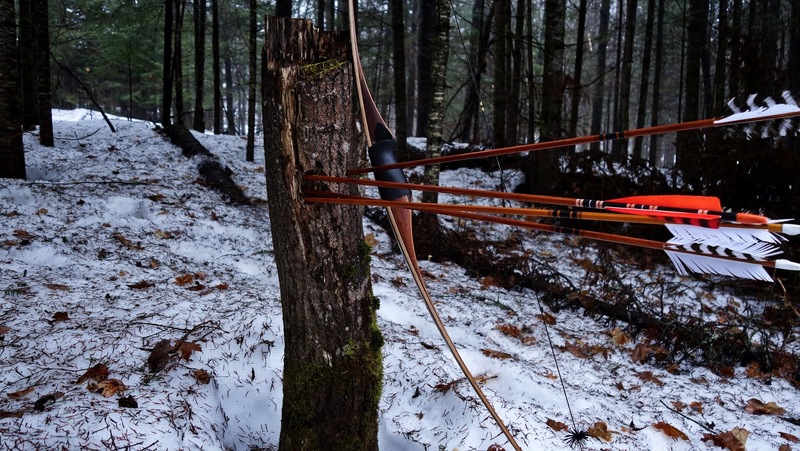 These conditions are sublime for drifting the timber with a longbow, with a long winter's worth of arrow crafting filling a favorite quiver. Walking these woods during times like these has a calming effect, until ones boot breaks the crust and sinks to the knee in the frozen snow. Lurching back out of these unseen soft spots can be comical affairs. The step up and out often results in that leg sinking above the knee as well. There are few things in life I enjoy more than the softly singing arrow as it speeds along its arc to a spot I've chosen. It may seem a trivial thing to some, that such a quick moment have any affect, but to the archer it is a moment in time where all else is vanished and nothing remains save the arrow's flight. It is a culmination, a physical fruition if you will, of years of effort. 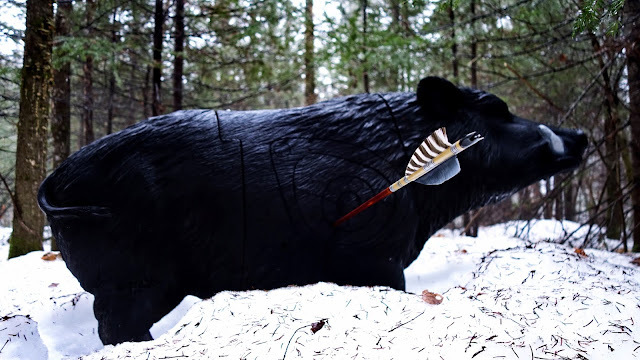 The loosing of an arrow has within it, all other arrows before it. To shoot instinctively isn't instinctive. It is instead the result of countless other shots, over time the brain begins to 'see' the proper sight picture, geometry, trajectory. Each time an arrow is loosed the brain receives training. Over and over again, eventually the hair covered computer can calculate the correct hold for elevation and windage, and thus the eye sees the spot, the bow arm rises, the drawing hand finds the anchor, and the arrow speeds away. 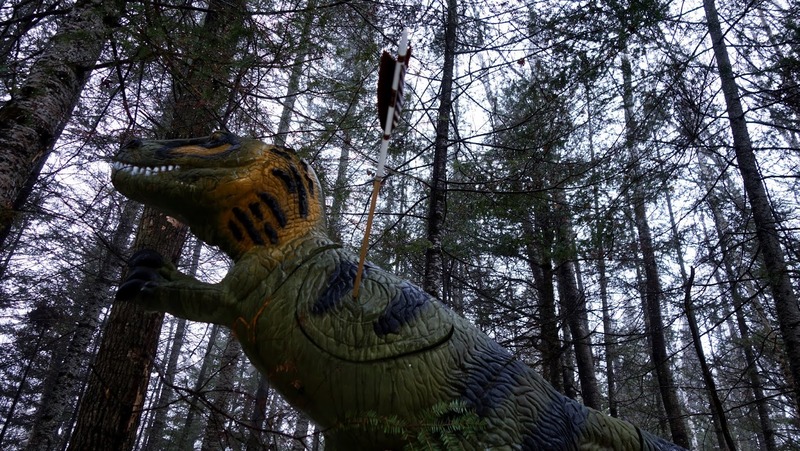 For nearly fifty years I've sent arrows down range, in that time each arrow represented all that had come before it and would influence all that would come after it. 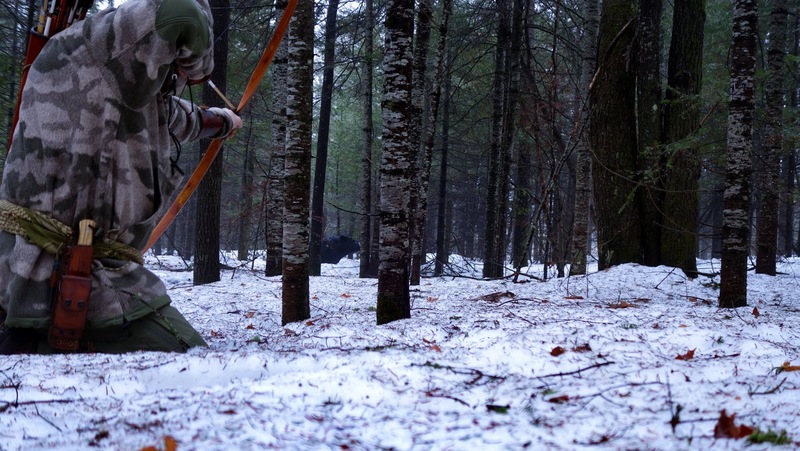 Instinctive archery is hardly instinctive, it is a lifetime of dedication and discipline. 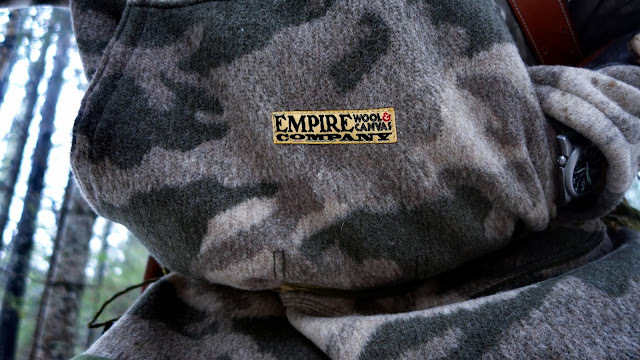 Recently I'd come by some wool blend material that I dropped off at Empire Wool & Canvas Co. I've known the owner for several years now and have had several of his products, both bought 'off the shelf' and made to order. I had enough material for a Boreal Shirt and a Grey Fox Pullover. Kevin's work is top end in every way, as is his customer service. He agreed to the build and recently completed them. The material might be recognizable to some, it's the 'Wooltimate' material that was proprietary to Cabelas. With the recent acquisition by Bass Pro Shop, it seems some traditional lines that Cabelas had will no longer be offered. I happened to know a guy who was involved with the mill that produced this material and thus came to get my hands on some of it. Kevin's design of the Boreal shirt left nothing out. From the pocket and inner pocket configurations to the hood and throat closures, ideally executed because of Kevin's experience and the feedback he's gotten from countless other outdoors folk over the years. I'm a huge fan of his work, it's always top end. I enjoy the randomness of roving and stump shooting. Unknown distances, varied terrain, picking spots through openings in the brush. It's a good simulator for hunting shots. 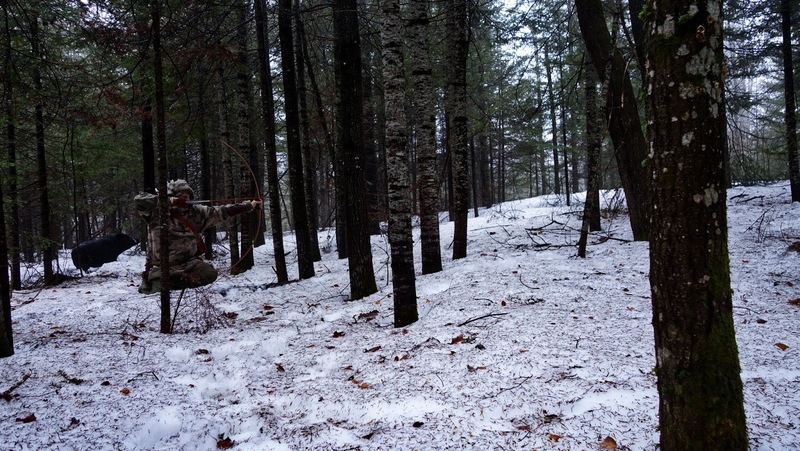 I've yet to have a bowhunting encounter where the shot opportunity mimics a static range. I've written about stump shooting repeatedly in these pages, suffice it to say, if you're a traditional archer you owe it to yourself to go stump shooting. More fun cannot be had with a stick and a string. Nonetheless, I do have a 'homemade' range. 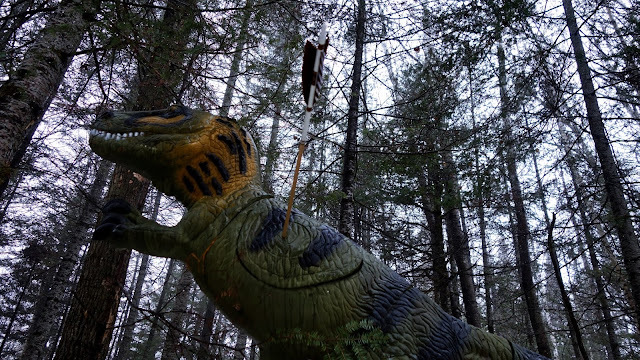 I've set numerous 3D targets in the woods around my home, some of them are your typical and some of them are not. 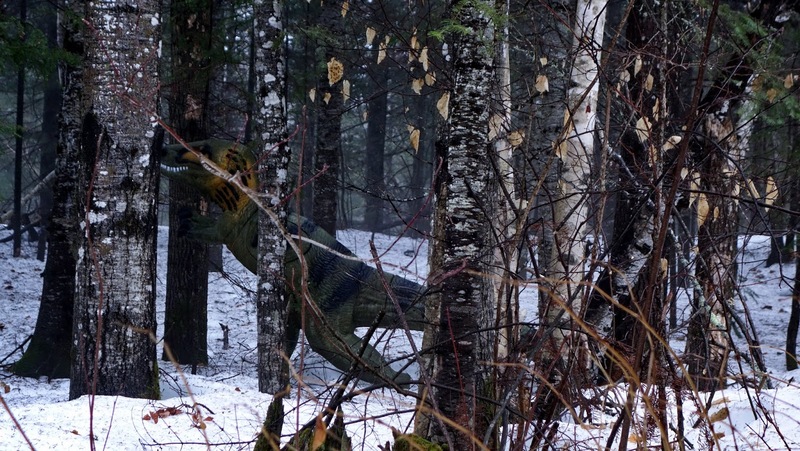 In this case the rare Northern Velociraptor. Picking my spot I sent the feathered missile through a small hole in the brush. Not far beyond, a great Russian boar met a similar fate. Spring is coming, though it is somewhat bittersweet, as I love the winter in the north woods. At least I can look forward to the fact that Winter is Coming, again. Superlative, as always. So good to read your work again.